This hall of residence is a new addition to City, University London accommodation stock. Students who are offered accommodation at Urbanest Hoxton will sign an agreement with urbanest student accommodation and with City, University of London. A secure lockable bedroom in a 2 person flat sharing a shower room and a kitchen lounge with 1 other resident in the flat. The bedroom comes featured with a built-in desk, desk chair, comfortable single bed, wardrobe and storage space and underfloor heating. The kitchen comes equipped with a modern ceramic hob and oven, microwave/grill, fridge/freezer and lots of cupboard space. Our private rooms are perfect for anyone sharing with a friend or looking to share with just one other. Super-fast broadband keeps you connected and the entire building (including all study and social areas) benefits from free Wi-Fi. laundry rooms, fitness room and social spaces. 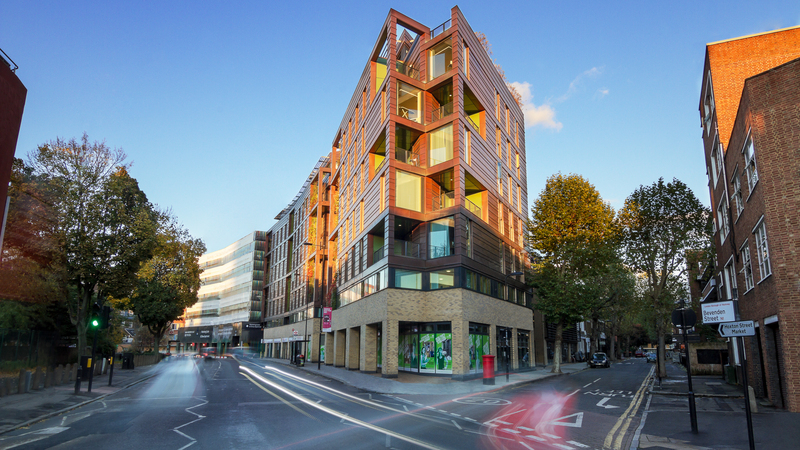 Urbanest Hoxton has a fantastic location in one of central London’s hippest areas. Hoxton and nearby Shoreditch are the heartland of the capital’s designer creativity, with cutting-edge galleries, great clubbing and live music, slick restaurants and exuberant fashion and interiors stores. Deposit is 1 weeks rent of £264. What are the rent installment dates? Please note you require a Guarantor. Rent is paid in either 10 installments or 3 installments. You will need a Guarantor for both payment type. Total rent @ £264/wk : £13,464 / number of instalments minus the first weeks rent. Yes, bank transfer payments are accepted. Yes, inernational students can pay in installments. Do you need a UK Guarantor to pay installments? No, we accept International Guarantors. If you choose to cancel your booking please Contact urbanest and process our ‘Cancellation Form’ – we will release if within the 14-day cooling off period. We have an ‘Early Leave Request’ Process residents need to follow-up. Liability for the rooms remains the residents responsibility up to the point the room is re-let for the duration of the current tenancy. What is the size of my bed? Bedding is not provided by Urbanest. The kitchen comes equipped with a modern ceramic hob, microwave/grill, fridge/freezer, breakfast bar and 2 stools, fold-out ironing board, and lots of cupboard space. Can I move in earlier than my contract start date? Residents will not be able to move in earlier than the contract start date. Yes, please contact Urbanest for more info on the Guest Policy. Yes you may bring a TV with you. TV License will be your responsibility. Prior to moving in, if other rooms are available then you may change. After check-in we often run an activity that allows residents to move room if swaps can be accommodated. You are able to re-book for the following year (appreciate this is more appropriate for 38/40/42 week tenancies).